Easter is definitely a highlight in my children's year- who doesn't love chocolate and an excuse to eat their body weight in it? We were absolutely thrilled to be contacted by Kinder and sent a whole bunch of goodies from their huge Easter range for 2019. From the well known and well loved Kinder Eggs, to the absolutely huge full sized Powerpuff girls egg (and I'm being honest, it was about as big as Isla's head) there's something for everyone's taste and budget this year. 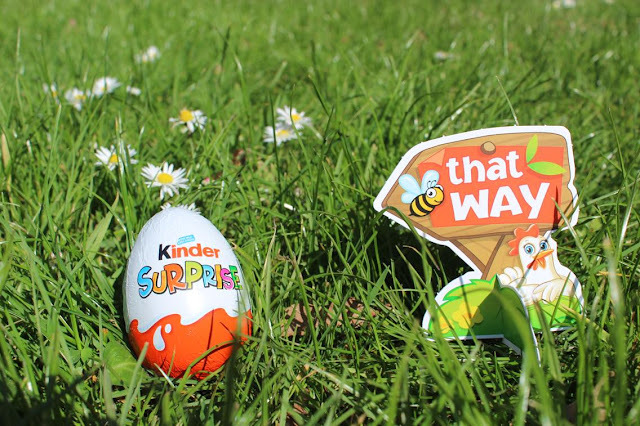 It's a lot more than chocolate, the eggs all have wonderful quality toys inside, meaning that even when the chocolate is gone, the fun can carry on. They're also offering an Easter egg hunt kit jammed full of treats and fun, easy to put together signs and pointers which keeps the tradition and excitement of the Easter egg hunt alive. Getting into taste, my two loved having the job of taste tester (so did Jack who told me through a mouth full of chocolate that this was the best review I've ever had to do) and it's safe to say that they gave two sticky thumbs up each. Isla loved how different the Kinder Joy was- it still had a toy but had the novelty of scooping out soft kinder chocolate with a little spoon, and Archer has eaten more Kinder Chocolate Mini's than I can count. 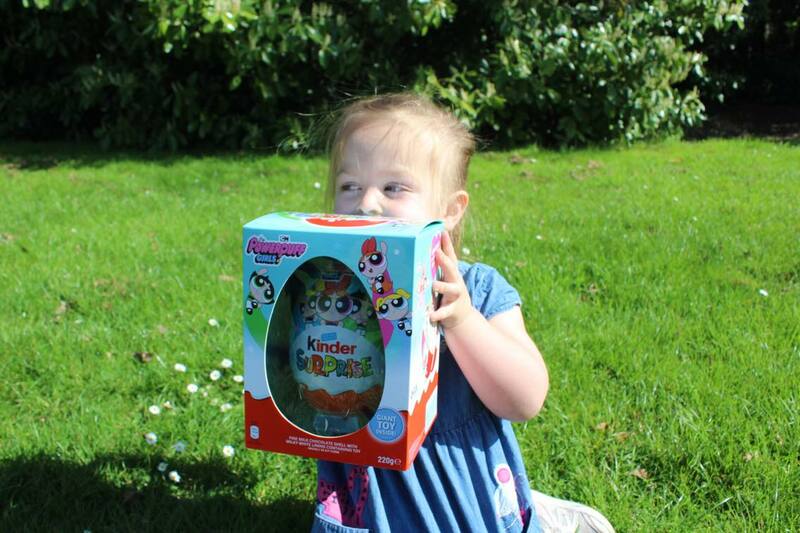 The toys are amazing too- they've had loads of fun putting their things together, and the giant toys inside the larger eggs definitely surpassed our expectations. I won't show you what we got in the giant ones, as I don't want to spoil the surprise for any little eyes that may be peeking over your shoulder at this post... I can definitely see why there is such a hype for all those unwrapping videos now though! So yes, Kinder's 2019 Easter range also has two very chocolatey thumbs up from me and I've definitely had to cave on my healthier diet at least 10 times in the last week. As I said, there's options for all tastes and budgets. Ranging from just 99p to £15, as well as multiple options for toys (Powerpuff Girls, Minions, Teenage Mutant Ninja Turtles...) and even soft toys for the younger babies who can't have chocolate but can't miss the fun. 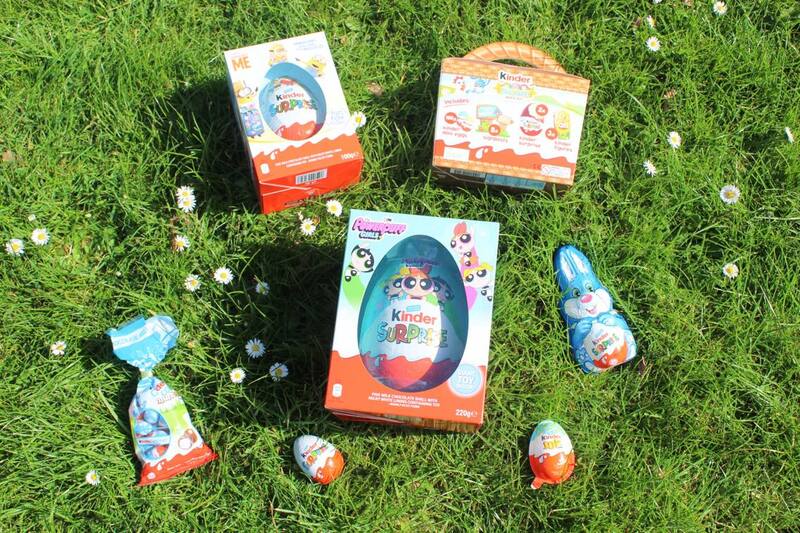 The giant eggs are available in Tesco and Ocado only, so be sure to grab them while you can! Thank you so much Kinder for all the wonderful treats, I'm going to have to go to the shops and grab some more for Easter now! 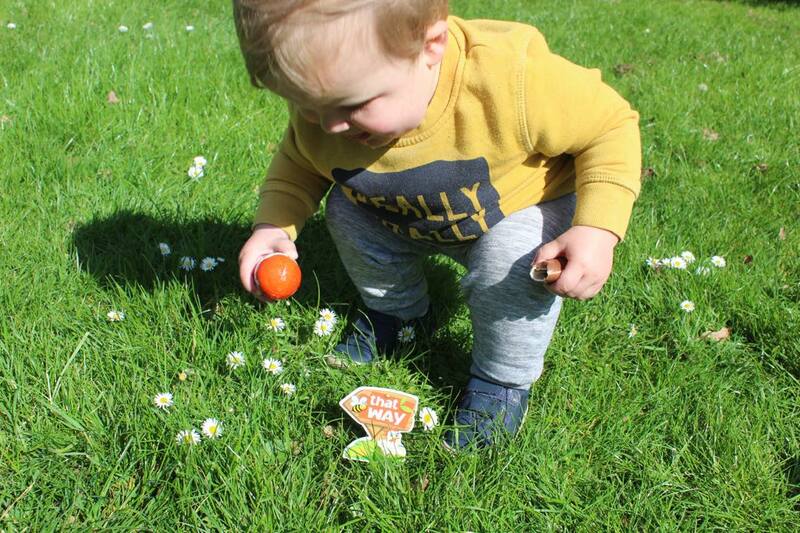 I received a hamper of Kinder's 2019 Easter range in exchange for this review. All opinions are my own honest words, and all photography is my own. 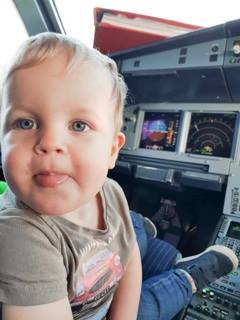 REAL tips for flying with toddlers! Flying with toddlers. Flying with a lap toddler.... it doesn't sound fun. Thankfully, our first flight was only an hour and a half long, but that doesn't even begin to cover any of the time dragging them through check in, security, milling around the departure lounge, heading to the gate, boarding the plane, sitting on the plane before and after take off, waiting to collect luggage... you catch my drift. Airports are bloody boring if you're under 5 and have no money or patience. They're even more dreadful for the parents who have to endure those bored little people for half a day, even when the flight is "only" an hour and a half. I've read so many posts with top tips for flying with small children and toddlers, but none of them truly touched on all that travelling by plane encompasses, so let's delve in and I hope that by the end of this post, if you're planning on flying with children you either change your mind (retreat!) or have a little more faith that you'll manage it. Check in and luggage, security and of course...lines. Quite a lot of airlines these days allow you to check in early, so if you aren't checking luggage, chances are you're far more savvy than I am and you get to head right over to security. 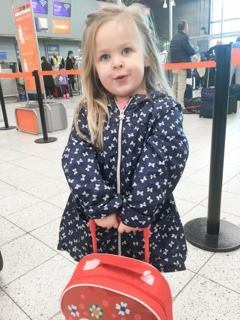 We did have luggage to check, because I am an over packer (plus we were getting tags to check our prams in at the gate, thank you for this huge convenience easyjet!). The most important thing at this point, is to keep your little ones from going mad while they wait, because chances are there's a queue. I found with my oldest (she's nearly 4) the best thing to keep her mind occupied, was to invent jobs for her. She had her own little suitcase, and it was her job to wheel that along for example. Throw as many snacks as you can at them while they wait, promise them there is a McDonalds in the fabled departure lounge, and tell them they can watch as much Peppa Pig as they want on your phone. If you manage to wrangle them through the X-Ray machines in security without a meltdown as they bin their water bottle, you've made it to the departure lounge. If you are lucky, unlike me, the promised McDonalds will buy you another 45 minutes of entertainment and a new toy. There was not a Maccas in the lounge when we flew, we had to sadly persuade the kiddies that Pret was just as good. It wasn't. We watched planes, we gave Isla the job of watching when the board had new things appear, and we watched as much Peppa Pig on mummy's phone as we liked. Honestly, I keep repeating it. I'm not a fan of screens- my two don't get to use my phone or tablets, and they don't have their own and won't for a while. In the car, I tell them to look out the window... but at the airport, you gotta do what you gotta do to get by and just give in. Your sanity will thank you. When it's finally time to get down to the gate, don't assume you don't need to move instantly. Yes, you have around 40 minutes before it leaves and before I had children, that was enough time to buy a magazine and a Toblerone before I wondered lazily away from the shops.... move move move- do it. We got to around 3 gates away before Archer decided it was prime pooping time and ended up at the back of the line to get on that silly little bus, Isla was wandering along with her little suitcase as slowly as she could and we just made it before they started boarding children. I had a lap toddler. Archer is under two, so he had to be strapped to me. I used Netflix to "wifi free" download as many cartoons as I could onto my phone, and stuck it inches from his face in an attempt to keep him happy. He was lucky enough to get a go in the pilots seat in the cockpit before we took off, which meant while Jack was upfront with him I could get the bags and belts and older child all ready and settled. Stickers, snacks, colouring (don't get round pencils, get the ridged edge ones so they don't roll off!) and cartoons were our saviours. If you bring things for them to do, take into account that they only stay focused for around 5-10 minutes before getting fidgety again. Let them watch as much Peppa Pig as they want. Being honest, nothing will prepare you for flying with children for the first time. I am no expert, but we did survive and we didn't piss off the people sitting around us too much and we all landed fairly happy but exhausted. Children get bored, it just happens, and no matter how you prepare, you never know how they'll handle a trip. The real tip is don't beat yourself up or worry about the people around you, just focus on yourselves and try to enjoy it without letting the stress take over. They are people you will never see again and it'll be over before you know it. As a parent, from the moment your little one is born, you want to do everything you can to make them happy. Whether it be ensuring they are fed before they start to cry with hunger, or that they get that cuddle before they need to ask for it, it's always been an aim of mine to ensure I try to cover my children's needs before it turns into full melt down mode! 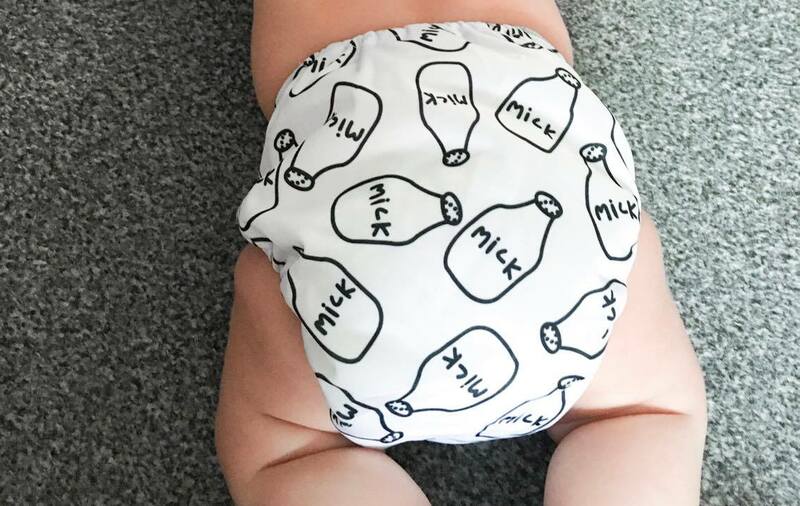 This aim of course, means I've always got to keep their bottoms in check, and ensure I do what I can to prevent nappy rash and irritated skin before it can appear and bother them. For a long while, we actually used cloth nappies with Archer (we managed 7 months before the laundry became too much!) 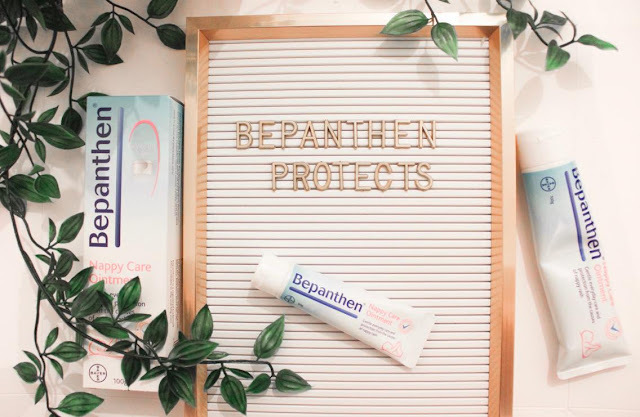 and as they aren't as absorbent, making him more prone to irritation, I actually started using Bepanthen nappy ointment before being asked to take part in this challenge and was thrilled to be able to tell you all about it. The important thing to remember with Bepanthen is that it not intended for treating or preventing or curing nappy rash, but using it regularly and making it a part of your normal routine when changing a nappy can help to protect your babies skin when the rashes do threaten. A baby's skin is 40% thinner than an adults, which means it's far easier for them to get irritated. I can't count how many times teething or new foods have given my little ones the type of filled nappy that could cause a rash... but keeping on top of it with cream before it hits really does help keep their skin protected. Apply a thin layer after changing them and letting their bottom dry, and their skin will be protected with a breathable layer that stops irritation from rubbing and moisture. There's even a handy travel sized bottle, perfect for throwing in a changing bag. It's definitely something I would recommend. Whether you're a mother hoping for something special this Mothers day, or looking for something to purchase for your own, or even a partner looking to get something from the children, it's safe to say it's a battleground. From teddies, to mugs, flowers, photo frames... the market is inundated with possibility and it's often hard to find a gift that will really surprise and thrill a mum. I've always been a huge lover of giving and receiving gifts with meaning. A personal gift, something that you know will really make someones day- it's all worth it to see the recipients face when they open it. That's why I was so excited to be given the chance to work alongside Statement Made Jewellery this Mothers day. 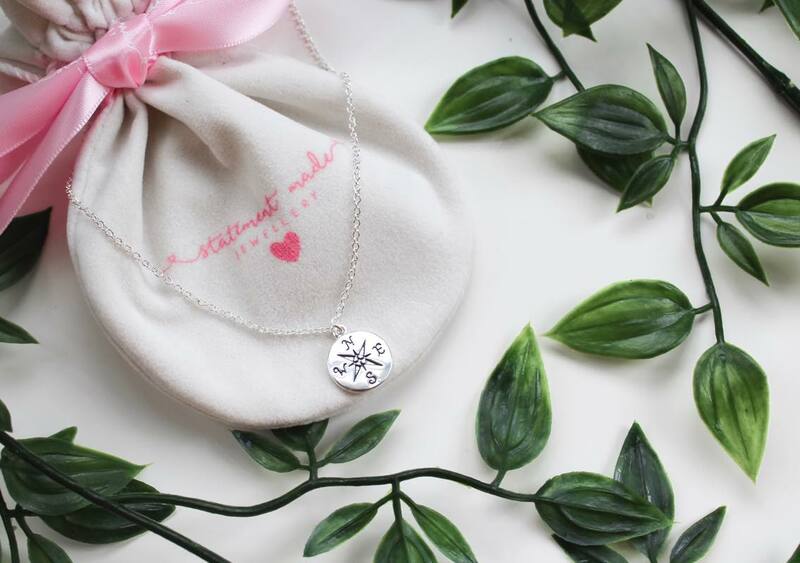 Their company stands for exactly what I do- creating something personal that reflects the wearer and everything they are, combining memories with self expression and using this combination to produce beautiful jewellery which makes the perfect gift. Anyone who knows me, knows I love taking a leap, and making decisions without hesitation and seeing where life takes me. I don't know which path I'm going to take next, it's a wonderful feeling wondering where I am going and where I'll be in a few years from now. If you had seen my face when I opened this gift from them... a beautiful necklace engraved with a compass pendant- it suited me perfectly. They have a wonderful range especially for mothers day- if you want to take a look at the site and find the perfect gift, you can do here. 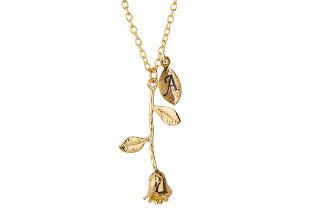 I'm offering all my readers the chance to win a stunning gold 3D Rose necklace, with their initial included to really keep it personal. All entrants must be 18 years or over and UK residents. Please enter using the widget below. The winner will be contacted by email after being randomly selected and will have 48 hours to respond- failure to do so will lead to drawing of a new winner. I was kindly gifted a necklace in exchange for my honest thoughts, all words and opinions are my own. This post contains affiliate links. The sun has been shining, and the daffodils are really making themselves known. This can only mean one thing (unless we are super unlucky and hit with another late snow)- Spring is right around the corner! Spring really is a wonderful time for children, especially since it means after a long cold winter, they finally get to go outdoors more and take it all in. Newborn animals, flowers, seeds, baby birds, Easter... I've compiled a little bucket list of all the things we are going to do this season to both have fun and teach them about the changes in the world around them. I've been explaining to Isla, that after everything has died or "gone to sleep" in nature during Winter, Spring is the time when everything gets it's colour back! Blossom, new leaves on trees, and new flowers! I want to get some seeds and bulbs and teach her how to plant them so she can see this for herself. Spring- the birds are tweeting as the sun rises earlier, and the trees are absolutely stuffed with nests ready to hatch the first chicks of the year. A simple craft activity that can be done with twigs, yarn, straw (or anything else you have to hand really!) and some glue. Get it all moulded around something round and non-stick like an inflated balloon, and once it's dry you pop it off and your little ones can display their nest with pride! 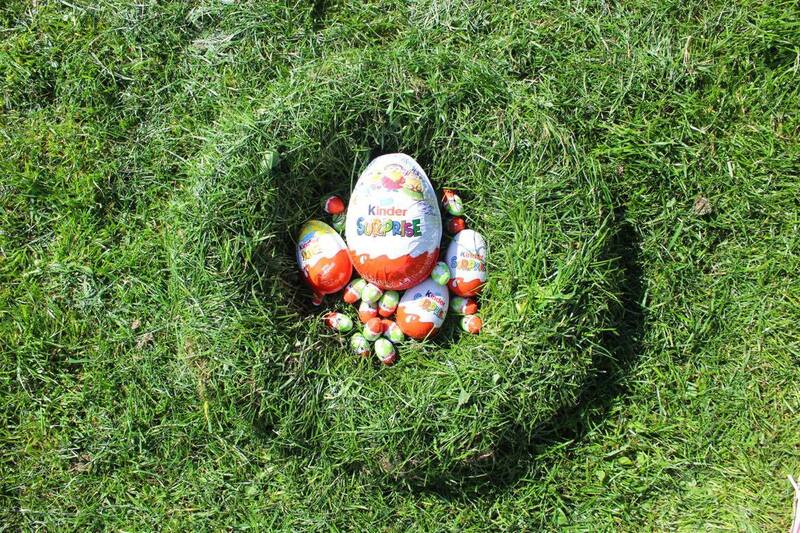 Throw in some of those cute plastic eggs from the poundshop and they'll be so pleased. It sounds simple, but Spring really is a great opportunity to get outside as the weather warms up. Head outdoors and point out all the changes you can see happening, smell the flowers and take it all in together. Spring isn't all sunshine and picnics- in England especially, it's often wet and rainy! Let your little ones throw on their wellies and jump in as many puddles as they can. At least it will be warmer so other than laundry, you don't really need to worry too much about anyone catching a cold and it's a great way for them to use up some energy. If you have any flowers around that are looking a little sad and limp, why not give them a final purpose? Let your little ones dab paint on the petals and stalk, and use them to print shapes on paper to make a Spring picture or collage! Let them glue petals on or even dip them in paint and just splat with them. Just make sure they know not to pick wild flowers or they'll be hoping to paint with whatever they see outdoors! 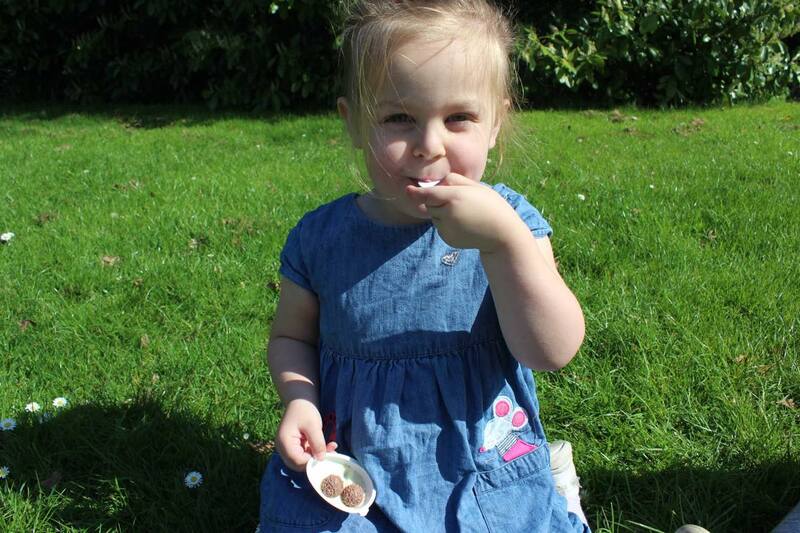 Isla is obsessed with picnics, she loves eating outdoors and taking a football and all sitting together with sandwiches. It's such a simple thing but something kids of all ages enjoy, and a great way to get away from screens and distractions and get some good fresh air and a bit of vitamin D.
If you're lucky like us, there'll be plenty of farms around you with baby animals coming any time soon... We were lucky enough to catch some lambs being born last Spring and the children absolutely loved seeing all the baby animals and learning about it all. Most are pretty cheap and it makes a great day out! With all the flowers and warm (often moist) air, it's the time when all the bugs come out to play. Take your kids out in the garden with some spades and help them look for worms. Or take a magnifying glass and see what you can find in the flowers. It's fun, dirty, and potentially educational- perfect for this time of year. 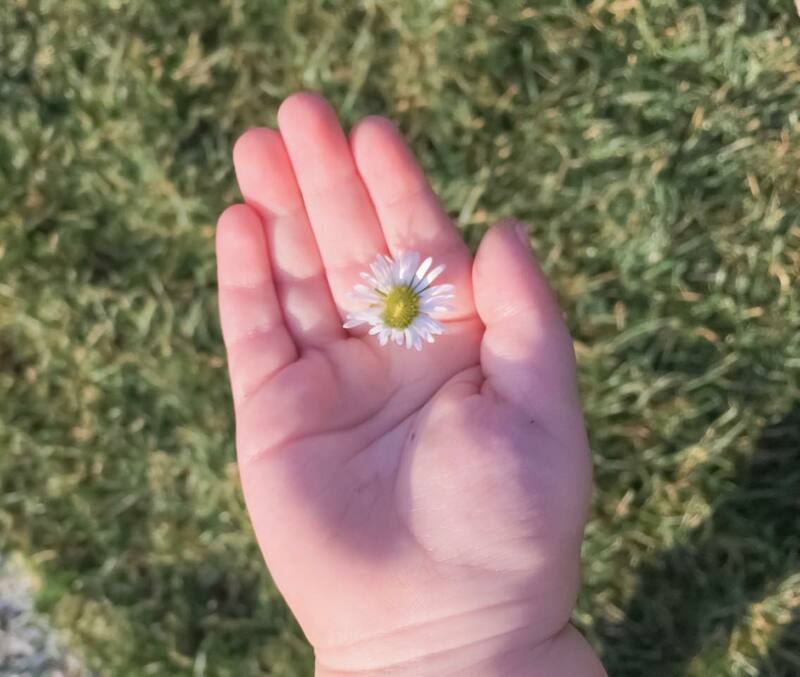 What do you plan on doing with your little ones this Spring?